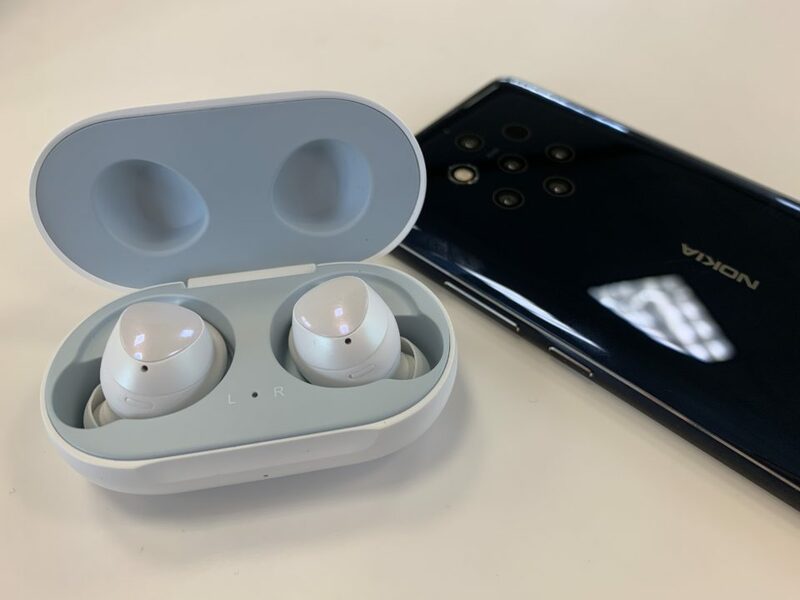 The new Galaxy Buds from Samsung are super easy to connect to your Galaxy phone. You open the case near your phone with Bluetooth enabled and viola a pop-up appears on the screen asking you to connect. But, what if you want to connect them to say, a computer? 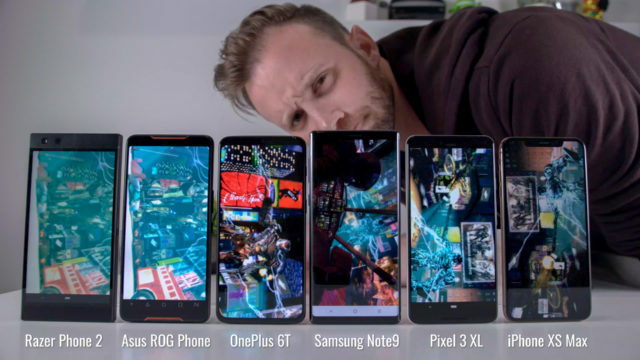 Or your non-Galaxy phone? Well, it’s a little less intuitive but it’s not that hard. 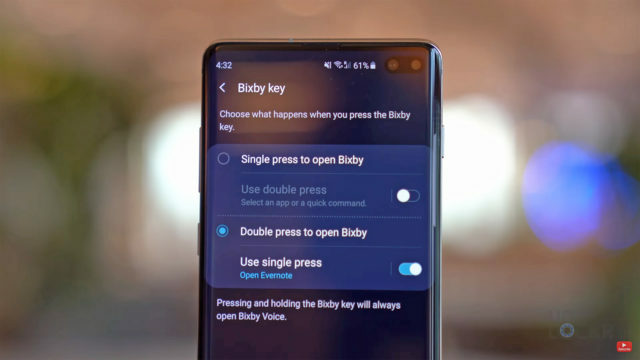 Since I myself was trying to figure this out and realized that Samsung has no instructions on how to do this anywhere on their site, I thought I’d write it down for anyone else out there looking for how to connect the Galaxy Buds to their device. 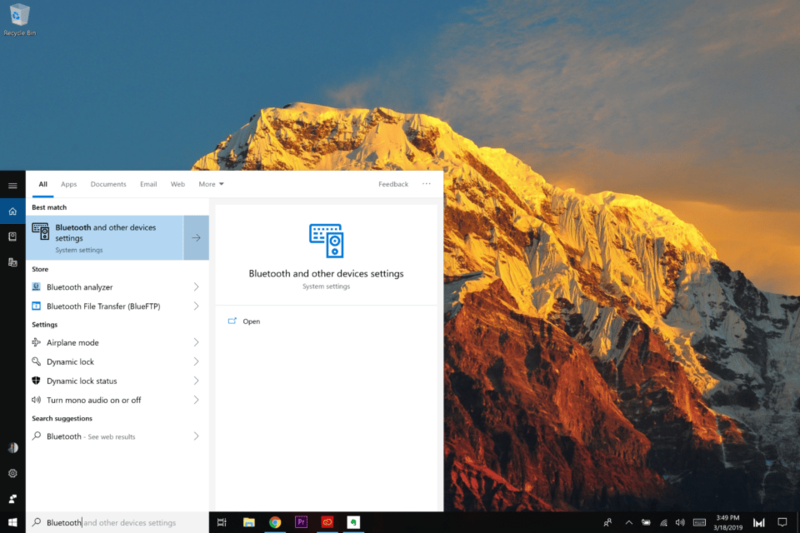 First, here’s how to connect them to a Windows computer. Check out my video on Samsung’s cheap and cheerful Windows laptop. If your Galaxy Buds are connected to a device, make sure that they are disconnected from it before getting started. 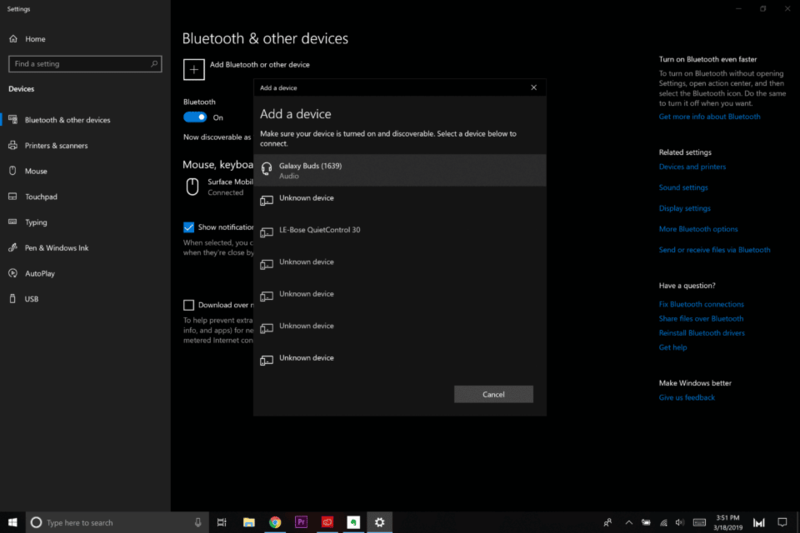 No need to unpair them, but make sure they are not connected (easiest way for me to do this is to just turn off Bluetooth on the device they were originally connected to while doing this process). 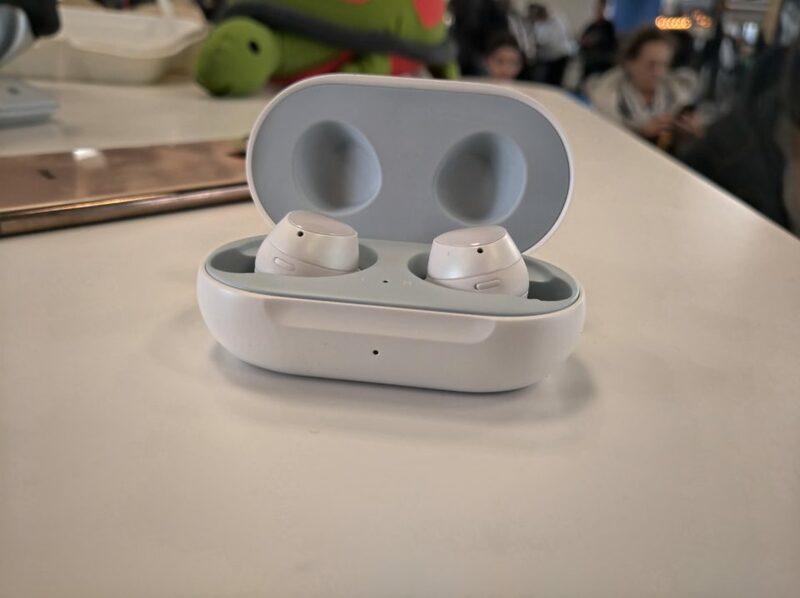 Open the Galaxy Buds case with the Galaxy Buds inside and they’ll go into pairing mode automatically (even though there is no visual indication that they did). 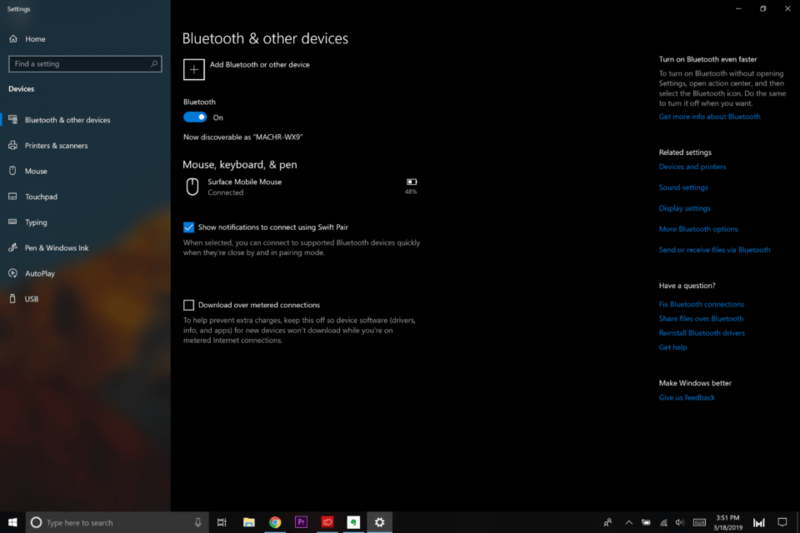 Now, on your Windows computer, click on the search box at the bottom left and type in Bluetooth. 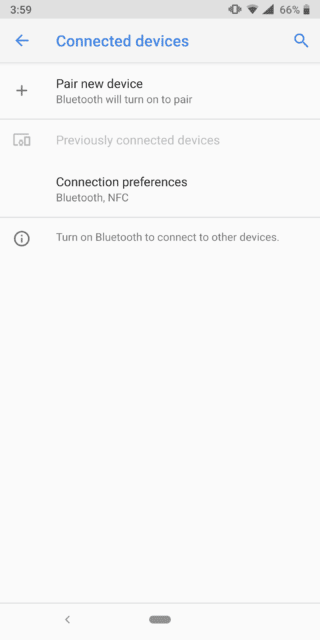 Click on Bluetooth and other device settings. Click on Add Bluetooth or other device. 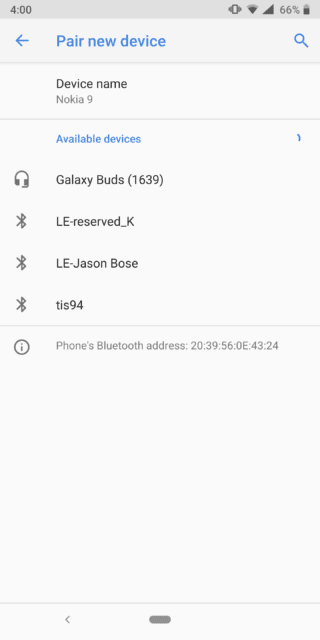 You should see the Galaxy Buds in the list there, click them to pair. 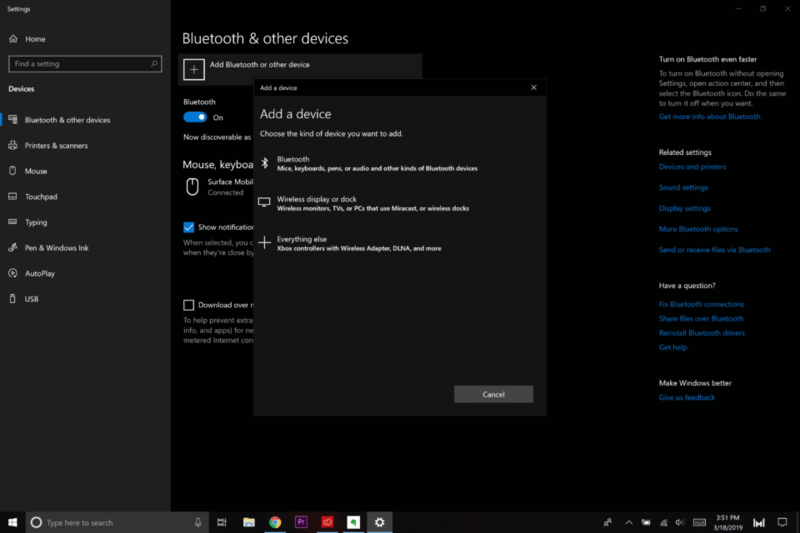 You’ll now need to just wait until Windows gives you a notification saying that the Galaxy Buds have been set up and are ready to use. 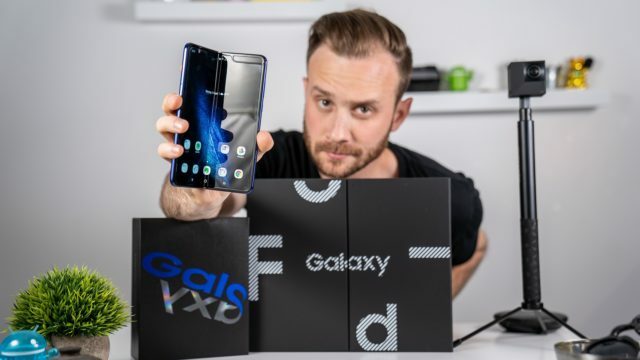 Now, let’s go through how to connect them to a non-Galaxy Android device. 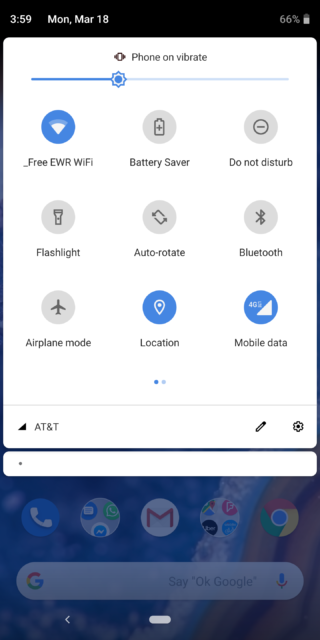 Now, on your Android phone, pull down the notification shade and tap and hold on the Bluetooth icon to get to Bluetooth settings. 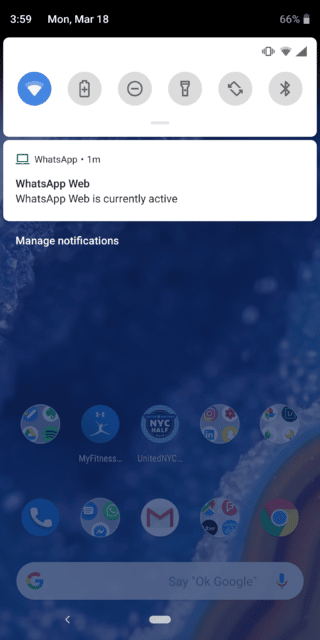 Tap to add a device. You should see the Galaxy Buds in the list there, click them to pair. Once tapped, they should be ready to go. 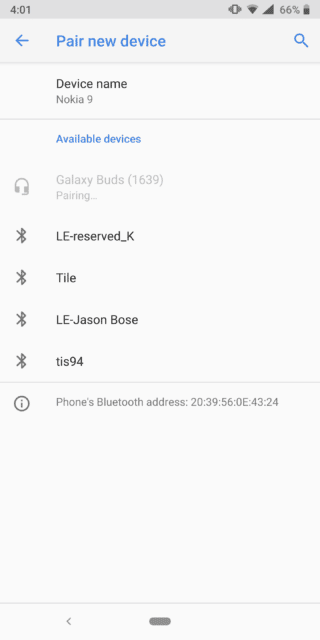 And lastly, here’s how to connect the Galaxy Buds to an iPhone. Now, on your iPhone, open Settings. There you go! Hope that helps someone out that was looking for this like I was. Let me know how it goes and if you have issues below in the comments and don’t forget to subscribe to the weekly email newsletter for more tips, tricks, videos, etc delivered every Sunday. I’m weirdly only getting sound through the left bud after doing this. Can’t seem to figure out why. So this happened to me one time and it ended up being that it just needed to be charged for a while then recommend them. I’ll give it a shot. Thanks! Hi. 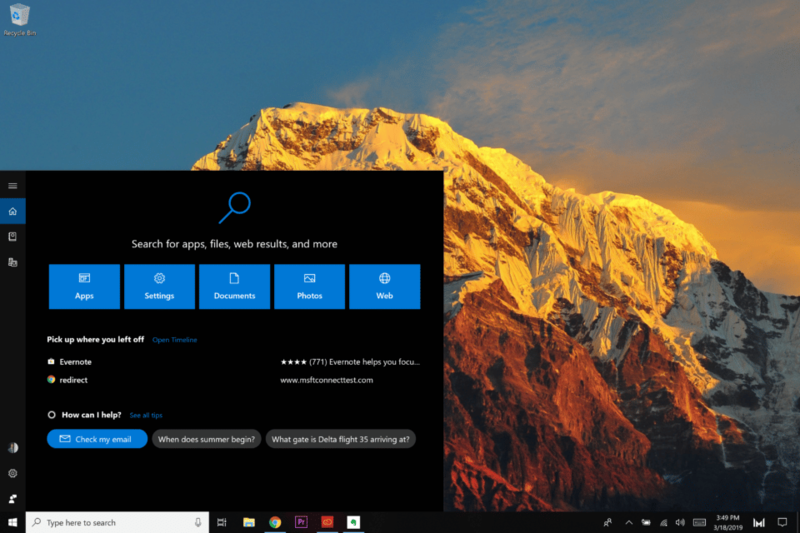 I tried to connect my buds to my windows 7 laptop but it cant seem to find them. It is because of Windows 7? Please help me out. Thank you. No should work the same regardless. Try plugging in the earbud case and leaving the earbuds in the case until the light turns on on the case and then turn off and back on Bluetooth on the computer and try again. Leave them in the case with it open and plug them in and leave them like that. When the light turns on on them turn off and on blueBlueton the PC and then follow the steps above. It should find them then. Thanks a lot! This worked. You’re welcome! Glad to hear! 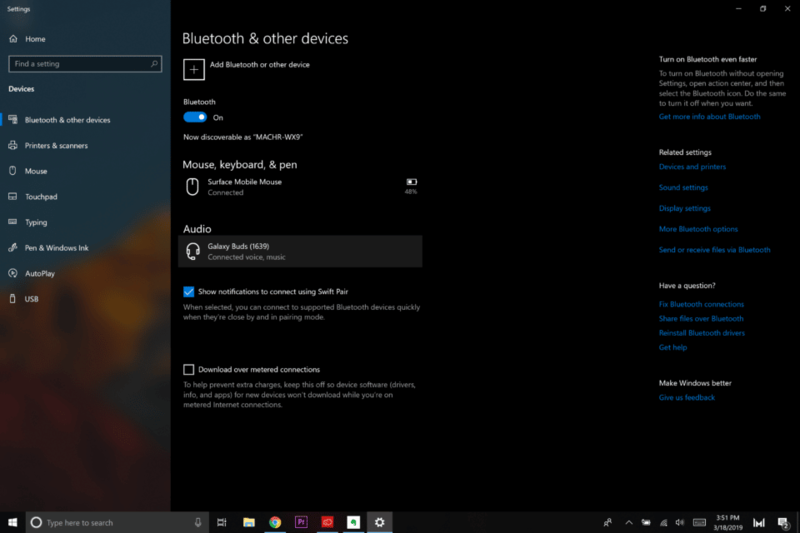 Any idea if there’s a way to activate ambient sound mode while connected to pc? These would be perfect for office use but I can’t figure out how to enable the feature on pc. Oh that would be a good idea. 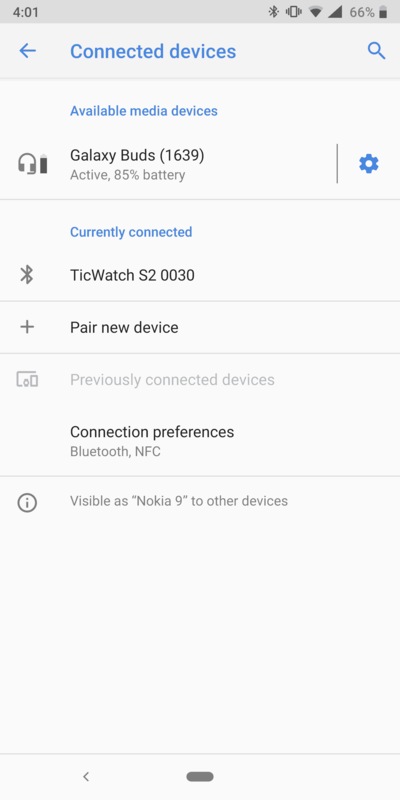 I don’t think you can though just because you have to turn it on in the Wearables app and be connected to your phone. And there’s no tapping on the headphones shortcut that I know of ? 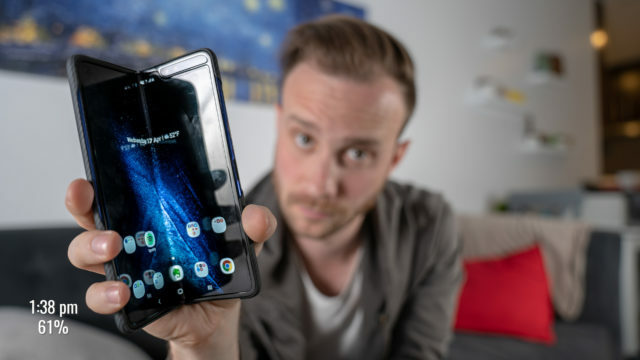 dear friends, is there a samsung app that can be downloaded for iPhone XR? 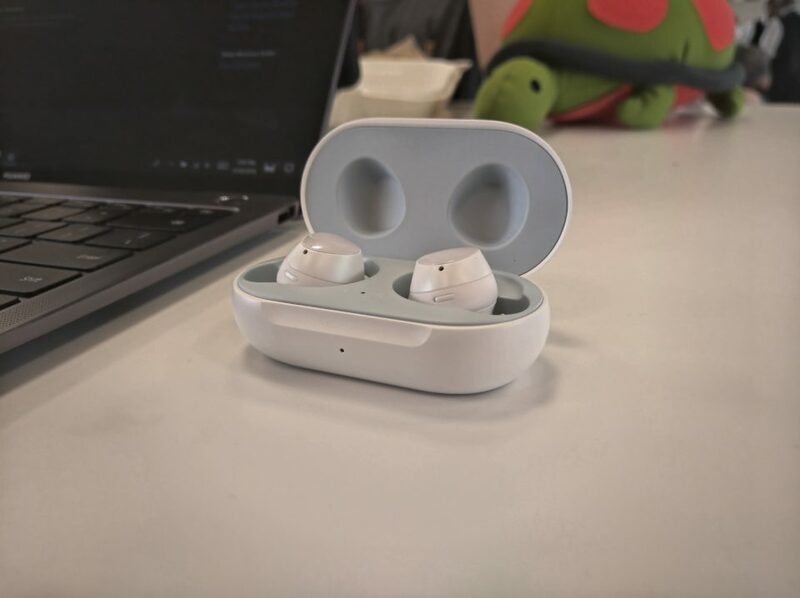 the buds can be used like a Bluetooth device, but having the app allows control of the special features on the Samsung Buds. Search for “Galaxy Wearable” and there should be an app for it. Can they be paired with an audio-to-BT converter, when used with a non-BT enabled device, like a TV? I’d like to listen to the TV on my treadmill with the buds, but the treadmill only has an audio jack. Would like to find an audio-to-BT adaptor to broadcast to these buds. Possible? Which adaptor might this work with?